Classic Rock to Blues Rock , Alternative to Alt Country, these kits have been praised by top professional players for their pure tonality and articulation. Made from select European Maple shells and fitted with retro-style maple counter hoops, Concept Classic bridges the gap between modern build quality and vintage aesthetics. 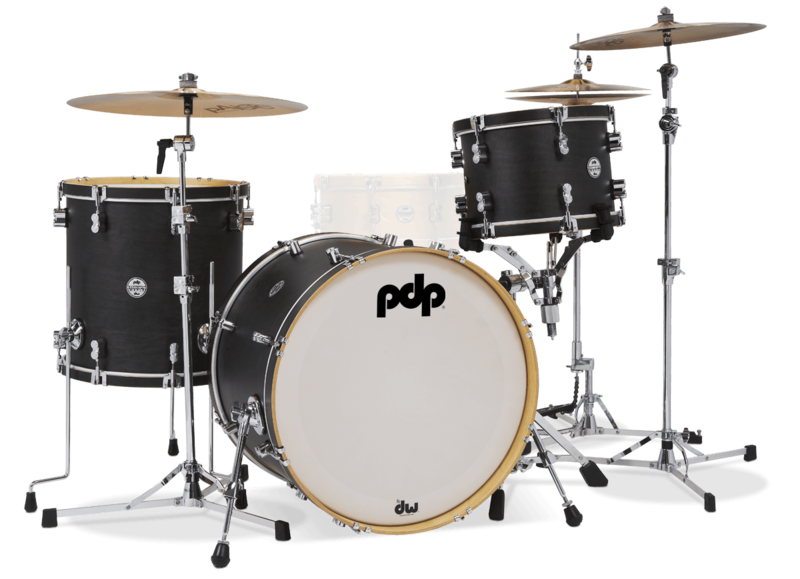 Available in a variety of kick drum sizes including a colossal 26”, and finished in a variety of woodsy yet durable satin lacquer finish options, it’s the perfect second kit for studio work or live shows. Snare drum, hardware and cymbals sold separately. BOP GOES THE WOOD HOOP! 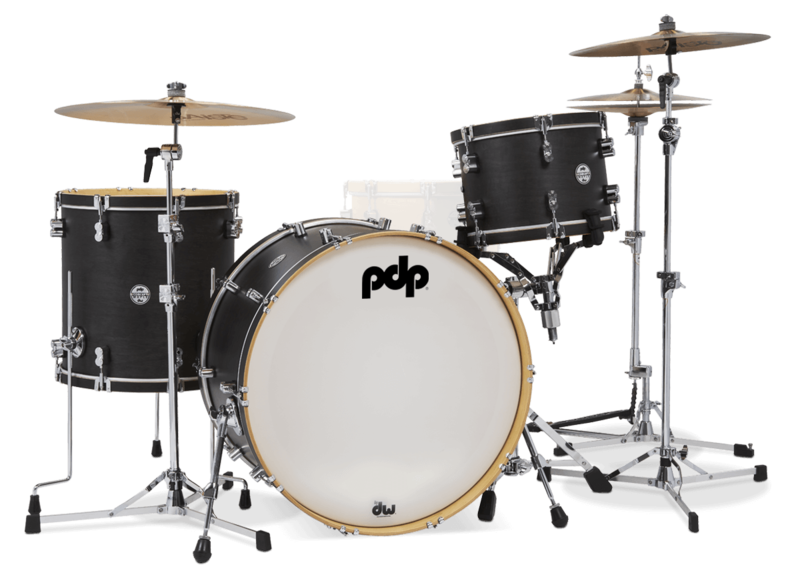 Building on the success of our Concept Series™ Classic Wood Hoop Drum Kit, PDP is proud to present its Bop cousin. 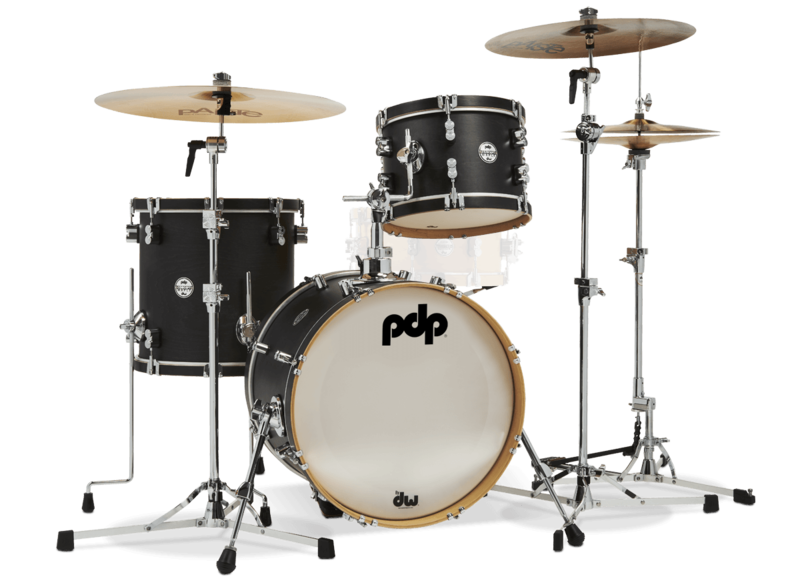 PDP’s Concept Series™ Classic Bop Kit delivers time-honored, open tonality, reminiscent of calfskin drums, but can still be tuned for a variety of musical contexts. 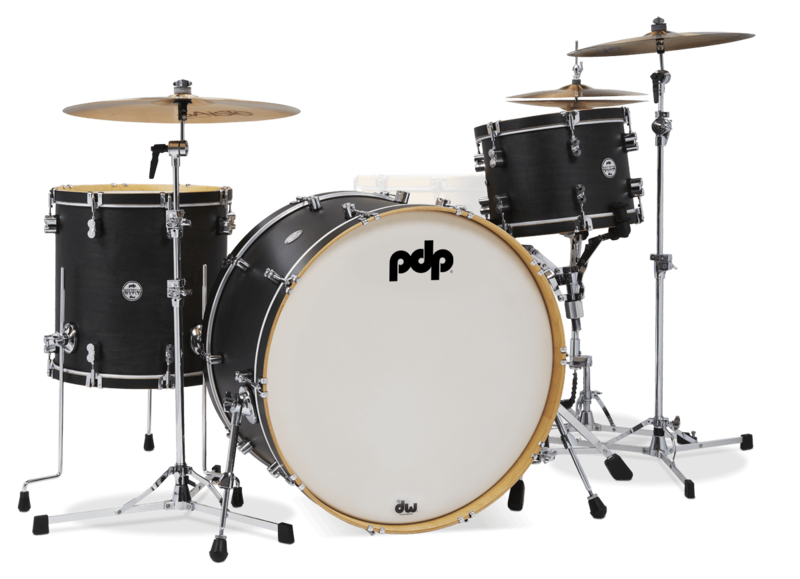 The 3-piece Bop Kit comes in traditional, Bebop sizes: an 8”x12” mounted tom, a 14”x14” floor tom, and a 14”x18” bass drum. The 6-ply toms and 7-ply bass drum all feature the same vintage-style, low-profile claw hooks and maple-plied counterhoops as our regular Concept™ Classics. The kit is available in all the Concept™ Classic finish options, too – Walnut Stain with Maple Hoops, Maple with Walnut Stain Hoops, and Ebony Stain with Ebony Stain Hoops. A PDP Classic Wood Hoop or 20-ply maple Concept Series snare is the perfect complement to any Concept Classic Bop set-up.